As the temperatures begin to drop, many anglers fear that colder weather means less fishing opportunities. The truth is, autumn is one of the best seasons for aggressive smallmouth bass. As the water cools, fish begin to feed aggressively, packing on the pounds for the long, cold winter. Shallow water smallmouth can be caught on both big and small lakes, providing everyone opportunities for bruiser bass. For the purposes of this article I will be specifically referring to clear water, natural lakes such as Erie, Ontario and Simcoe etc. I will be discussing the type of conditions that make for great shallow water fishing, where to look, what baits and what tactics to employ to get you in the ring for the “Fall Brawl”. First, it’s important to understand why these fish have migrated from their deeper water summer grounds to the shallows. The main reason is to feed. 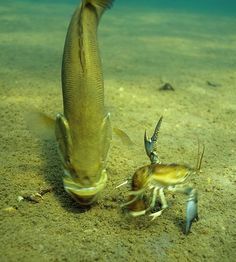 Instead of chasing gobies or deeper water schools of baitfish, smallmouth bass push up in packs and aggressively feed on minnows, yellow perch and crayfish. The trigger for these fish is the water temperature. During the summer months, the water temperature in shallow water is warmer than what smallmouth prefer, which pushes them to deeper, cooler water. As the fall approaches, the shallow water areas that held fish in the spring will start to hold fish again, as the shorter days of late summer bring cooler water temperatures. A good sign the smallmouth migration is beginning is the arrival of large schools of baitfish on the shallow flats. When targeting shallow smallmouth in the fall, the key is fair weather days. Some of the best shallow fishing is done on days with blue bird or partially cloudy skies, after a stretch of steady, warm weather. Because of the consistent weather, sediment in the lakes and rivers will begin to settle, creating a dynamic, clear water situation. That’s not to say that on typical fall day, with heavy winds and rain, possibly snow – the fish won’t be there; it just makes them harder to find. To keep it simple; warm, clear days, fish shallow; on the typical overcast, cold October to November days, fish deep. When fishing in shallow, with clear water, it’s important to remember being able to see bottom and the different transitions. Having a good pair of sunglasses and being mindful of your surroundings are the keys to sight fishing success. Smallmouth are moving fast and in packs, aggressively feeding, so you have to be ready to target these fish when you have your chance. Fishing the front of wind-blown flats is always a good starting point. Wind creates current and baitfish and as a result baitfish will be pushed up onto the flats. Be sure to be fishing all the areas of a given spot until you locate fish. With our focus on shallow water, identifying key points will increase your success. Access to deep water is a good starting point. Look for transitions with a gradual drop off. Target areas in the 5 to 8-ft range. Remember, this is a starting point, as fish can be caught in depths ranging from 4-ft up to 15-ft. When you have located transitions with the right combination, it’s time to change focus and look for the ideal bottom and structure. The perfect combination is an area that is primarily sand and shale, with scattered boulder fields, flat rock or small weedy moss-like patches. Finding the perfect combination of sand and rock in shallow water is essential. Concentrate on dark and light transition patches and use those as targets to cast to. Dark patches create an ambush point — small, defined pieces of cover, different from the surrounding bottom, helps to camouflage bass. Find these areas using lake maps, either through mobile apps, internet maps or a good fishing map of the lake you are planning to fish. Covering water quickly is the secret to successful fall fishing. Long casts with fast moving baits – power fishing – will locate flats of aggressive, feeding fish. Choose lures that can be cast far, retrieved easily and quickly in the shallows. Baits like spinnerbaits, cranks and jerkbaits should all be ready to cast. Have a follow up bait ready for short striking fish or “chasers”, fish that follow a caught fish to the boat, waiting for an easy meal of regurgitated minnows. If you pull into an area and you immediately catch a couple bass, don’t be lured into a false sense of security. These fish are moving in packs, actively hunting and chasing food. Stay on the hunt and try to locate another pod of active fish. Remember the scenario that caught those first fish; try and duplicate that in other areas. Don’t forget to come back to the hot spot after it has cooled off. Something may be attracting fish to the area, and another school will always be ready to reload into it. When throwing spinnerbaits, go BIG: big blades, big flash and heavy weights. 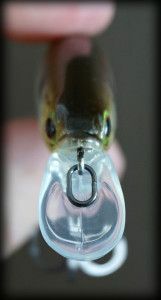 A great first choice is a big willow blade spinnerbait in a silver gold combination with a shad minnow pattern. Not all spinnerbaits are created equal. Most spinnerbaits come with a trailer hook, but if they don’t, it’s a good investment. Smallmouth strike so fast and aggressively, at times you’ll feel a hard bump but miss the fish. Having a trailer hook will increase the hook up ratio. Big blades create tremendous flash and vibration, sparking curiosity in roaming fish and their natural instinct to feed. A medium/heavy, fast action rod, like 13 Fishing’s 7’6” Envy casting rod paired with the 13 Concept C reel in a 6.6:1 or 7.3:1 ratio is my go to set up. Spool up with 14-lb flouro, for decreased line visibility and slightly lower stretch than mono, but better shock absorption than braid. The longer rod and Concept C reel makes long casts effortless. The longer rod combined with the fast action tip of the Envy rod will assist in controlling those hard fighting smallmouth and increase your catch rate. The 6.6:1 gear ratio can be fished fast or slow, giving the angler more control over the bait. Slow retrieves will allow the spinnerbait to get deeper, while burning a blade in will pull the bait up, higher in the water column. 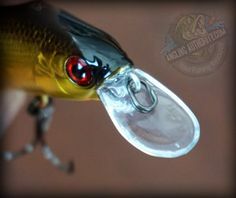 The slower retrieve gives the angler a chance to stall the bait, allowing the bass to pick it up after a missed strike. Windy days are your friend when throwing spinnerbaits. Casting with the wind gets you long bomb casts, and the choppy water is an added bonus for a small mouth spinnerbait bonanza. If winds are calm in the early morning, I like to pick up a top water bait to entice aggressive fish. The new Live Target Yearling Walking Bait has quickly found a spot onto the deck of the boat. Paired with the 13 Fishing 7’1” Medium/Fast Envy casting rod with a Concept C 6.6:1 reel with 14=lb mono, makes this a deadly combination. Mono is more buoyant than flouro, and imparts a better “walk-the-dog” action to the bait. Going up to the larger, 4-½”Yearling Walking bait requires a Medium/Heavy, Fast action rod to handle the weight increase. For this I go to the 7’1” Envy casting. At 5/8-oz the heavier action rod is perfect for making long casts and has more backbone for hard hook sets. To actively work the mid to low water column, turn to a crankbait. This is where the new Baitball and Yearling Series baits from Live Target shine. Bass are keying in on schooling bait fish and these baits imitate it perfectly. Squarebills in shallow water are a great starting tool, then switching to a traditional crankbait on deeper flats. 13 Fishing’s Envy Black 7′ 4″ Cranking Rod paired with Concept E 6.6:1 will get you the speed you want to entice fish and cover water. The Concept C is a 5.78-oz reel with high speed ceramic bearings that gets you long distance casts, keeping the bait in the strike zone longer. 13’s new cranking rods have the perfect backbone for bringing those aggressive smallmouth to the boat. The length and power of the rod is apparent when fighting bass, keeping lots of tension on the fish, to get them into the boat. Earlier in the article, I mentioned follow up baits. 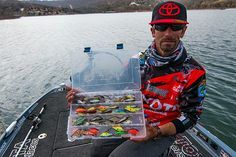 These are baits for those fish that you find close to the boat or that chase your baits to the boat. Here are a couple setups to keep on the deck, a tube jig and a dropshot combo should always be at the ready. For tube jigs, use a Medium/Heavy spinning rod, like 13 Fishing’s 7’3″ Envy or Omen spinning rod matched with a 2500 – 3000 series reel. 20-lb braid and a 10-lb fluoro leader will give you sensitivity and abrasion resistance as well as low visibility. A 3/8-oz tube jig head paired with an Imperium Baits Prodigy tube, making sure to match the hatch of the local waters, round out my tube jig combo. When presenting dropshots, 13 Fishing’s 7’1” Medium/Light action Omen rod combined with a 2500 – 3000 series spinning reel, spooled with 8lb fluoro, provide the best finesse option. Imperium Bait’s Dropkick worm on a finesse dropshot hook, quickly capitalize on fish close to the boat. Don’t be afraid to use these baits as search baits, targeting areas holding fish. Sometimes the situation presents itself where a group of fish will readily take the finesse selections, with no need to use reaction baits and power fishing techniques. Picking off bass one by one, holding on the “spot on the spot” with the lighter presentations is a great way to catch a good limit quickly. This is where stealth is key – staying off the trolling motor, making long casts and keeping your eyes peeled for moving fish. So are shallow water fish dependable? Is this the pattern that should be focused on come tournament day? Tournaments can be lost and won fishing shallow. Savvy anglers know the key to success; when to move in and actively seek shallow bass and when to move back to deeper water. Some points to consider; when the sun is out and partly cloudy go shallow, quickly move over different areas that previously held fish on shallow water flats. This is where sight comes into play, with long casts and fast moving, reaction baits. If fish are staging deeper, move from the shallows and fish traditional fall patterns. Smallmouth on shallow flats have a “here today, gone tomorrow” nomadic lifestyle. Shallow water bass won’t hang around in one spot very long and it’s a risk counting on them for multiple-day tournaments. It is a great way to quickly upgrade a bag with a few kicker fish or to get a quick limit. So the next nice fall day, when the weather’s right, don’t be afraid to take your boat shallow and look for giant shallow water smallmouth. Autumn bass are aggressive and the action is fast, so make sure you get yourself into the “Fall Brawl”. A true fishing addict, Joe is always reading or watching videos on anything that has to do with fishing. He loves to study fish and their behavior as well as learn about new bodies of water. 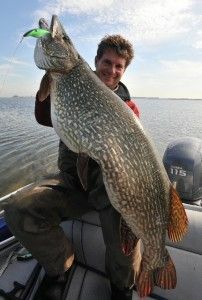 Living so close to Lake Erie, he primarily fish for smallmouth, but loves targeting other species as well. 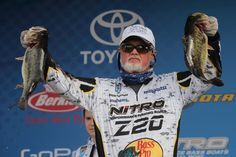 Joe completes through the BASS Nation Series at both club and provincial levels along with several other tournament series, with aspirations of one day making the Elite or FLW series as a professional.